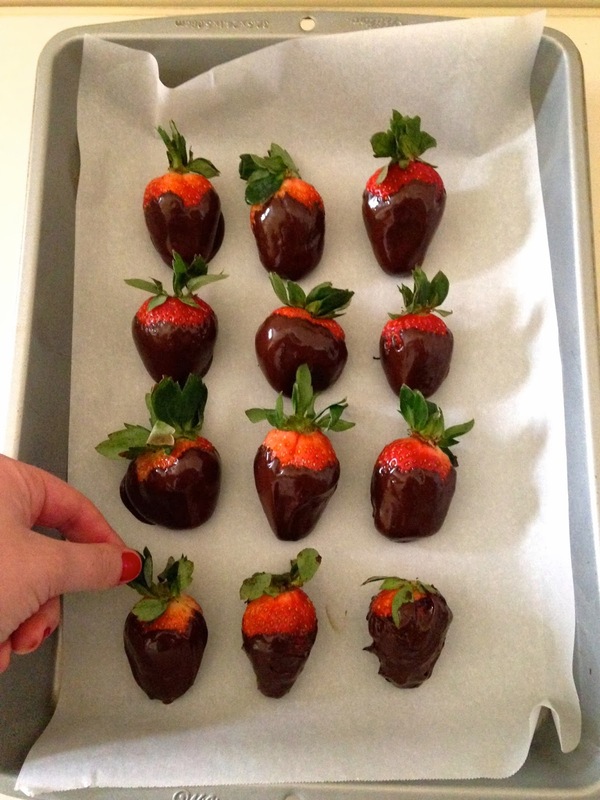 Chocolate covered strawberries have to be one of my favorites desserts. I could eat them any time of the year. So when Valentine's Day comes around, I am more than happy to indulge. But believe it or not, I had never considered making my own. Besides the fact that I plan on eating a few myself, I thought it'd be a fun, little something to make for Ben.